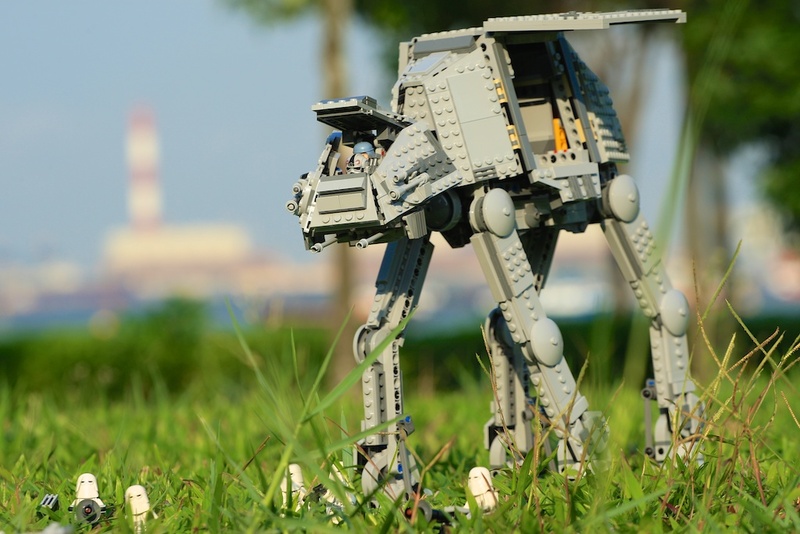 Exploring Scenes and Traveling with Star Wars Lego Toys! The fun and adventure with my Star Wars Lego had been a pretty good start to A New Hope, from documenting and photographing my Star Wars Lego toys construction, it progressed towards a fun personal project with my Star Wars AT-RT, titled “Lego Star Wars AT-RT Goes Exploring!”, bringing out the AT-RT to locations in Singapore and taking photographs of the AT-RT exploring! With the addition of the Star Wars Lego Snowspeeder into my collection, I was inspired by my AT-RT goes exploring and decided to create another fun personal project along with my AT-RT goes exploring with “Lego Star Wars Snowspeeder Goes Exploring!“. 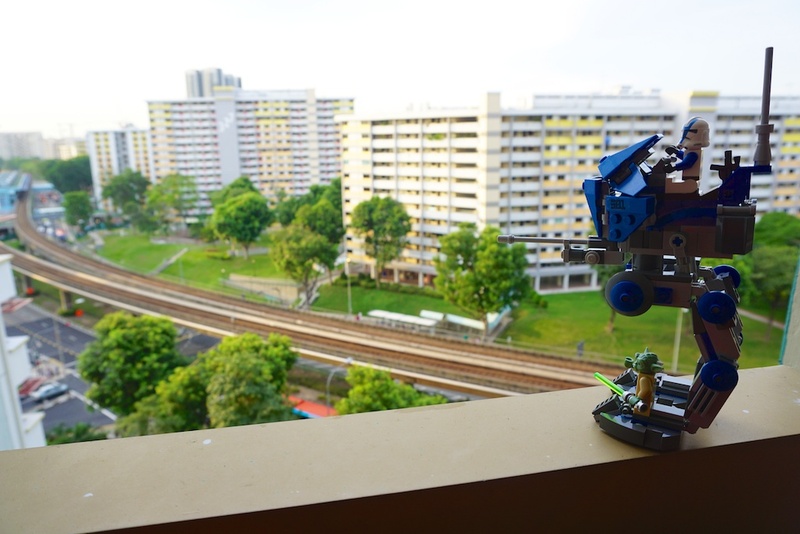 Therefore, I might be bringing out both the AT-RT and Snowspeeder out together to explore and take photographs of the Star Wars Lego toys exploring different parts of Singapore and different parts of the world (hopefully!). 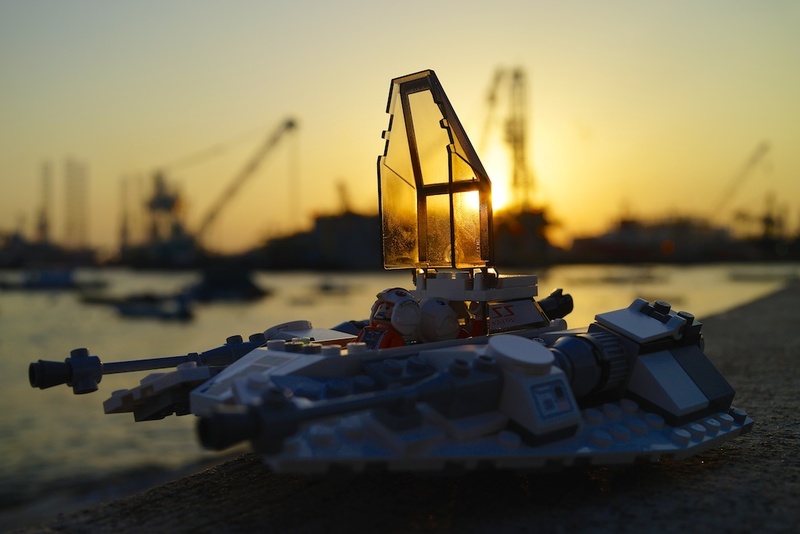 In my earlier posts relating to Star Wars Lego toys, there were inspirations from photographers who were Lego and Star Wars fanatics and they produced some excellent scenes and composition with them! I observed their photographs, compositions and ideas for inspirations and ideas, along with re-collecting Star Wars movie I to VI trilogy scenes and planning on how I can produce/construct Star Wars scenes with the Lego toys right here in Singapore! Along with fellow photographer friend and also a Star Wars Lego fan, Marcus, we brought out some of our Star Wars Lego toys on a Saturday morning to do a “test shot” and create some of our own Star Wars scenes! I brought out AT-RT, Snowspeeder and various Star Wars Lego mini figurines while Marcus brought out AT-AT, Snowspeeder, AT-RT and Snowtroopers! Check out Marcus’s Lego Star Wars @ West Coast Park collection and my Star Wars Lego Scenes on Flickr! Planning ahead into the near future, I hope to add a few more Star Wars Lego toys to my collection first, I am looking at the X-Wing, AT-AT and Millennium Falcon! While waiting to own my Star Wars Lego wish list, I am conceptualising future scenes for my Star Wars Lego along with my photographer and Star Wars Lego friends!